Williamson the shameful human being on earth. Plagiarism is an ethical problem that robs society, community, individuals their custom, culture,…. Plagiarism is defined as taking property of others such words, drawings, photos, artistic design work, or other creative material that was written or created by others, and passing it off as your own. Plagiarism is an illegal, immoral, selfish act of some selfish and greedy human being who aspire to make money by exploiting the property or the work of others without any permission from the owner. Mathew Williamson is one of this selfish human being who is venturing to make money by stealing African customs without the knowledge and permission of those who own the artwork. The reason is simple, in Africa there is no any leader who stands for their Respective country. African leaders are beggars. They do not know anything about self-respect. All they know is begging. As such Mathew Williamson knows he will go away with it. Since no one cares in Ethiopia, and nothing will happen to him. Otherwise, Williamson is a criminal who copies without any shame Ethiopian artwork. Abdurazak Omer of the Ethiopian Intellectual property in addis Ababa said: “However, Abdurazak Omer of the Intellectual Property Office in Addis Ababa said: "We are very unhappy with the actions of Mr Williamson. "These are the dresses of our mothers and grandmothers. They symbolise our identity, faith and national pride. Nobody has the right to claim these designs as their own." While his officers would like to take action they are financially limited in what they can undertake, he said, adding that that this incident is just one of many such cases. I would like to say to Mr Omer, why cannot you beg money? All what you know is money. Guys please open your mind, please open your mind. If you are destroying the country in this way, what is then development? Is development only building bridges by loan? Can you think of how to make money than making yourself a prisoner of money? Things of this sort never happened before. It is this government who is opening the country to all sort of immorality because it wanted money? If one does not know how to market ones own property, how the hell is prosperity to come? Is begging away to prosperity? Ethiopia has 3000 artistic design works. If those indigenous products could have marketed, Ethiopia could have been an African China in marketing its products. If Ethiopians could have known how to do business, Ethiopian textile products and shoe products could have beaten Chinese shoes and textiles products in the whole Africa. However, Ethiopians are cultured not to think how to make money, but to think how to beg money, this is our main problem. It is this ineptness and dullness that the things we import are 99% more than the things we export. We are not able to think naturally. One can understand what Mr Omer is saying; he is saying Mr William will go away with it. It is even shameful to say that to the media. Mr Omer is making himself defenseless. If the regime does not have a capacity to protect this type of very important property, what the hell is the development? Hey, development is not only building schools men, men wake up, one cannot develop by making oneself defenseless. I read this and that project is being under progress, hell what are these projects , if you cannot even protect your own clothing? This is shameful, it is just like allowing someone to take away your underwear and sell it. It seems Mr Omer will give away his pants if he cannot have enough money? Men please apply your brain. If you cannot protect the country from immoral people like Williamson, why do you then give visa to everyone who come to Ethiopia? Mr Williamson must have been shuttling between Ethiopia to do this venture project. You should have watched him for what reason he was shuttling in the country? He must have studied the whole artwork before copying it. I demanding the Ethiopian government to act if it says it the government who cares about the country. If the regime cannot protect this vital property, it is useless and all what it says is only propaganda. Otherwise, one cannot prosper by letting people take ones own under-wears. This is an outrageous. What is more outrageous is Mr Omer is saying because of financial problems, he will not defend to protect his property. Then if you cannot do this, do not tell us propaganda of development. According to me what Mr Williamson has done is a criminal and anti Ethiopian development. If people are robbed their custom what the hell is development? He has no any right to do that. He is a robber who has no any natural conscience. He is barbaric and selfish human being who rob people their clothes to make money. If Prime Meles Zenawi says this is okay, I must say the prime minister only talks about development. Matthew Williamson has shamelessly responded on December 13 2007 to the criticism from an official in Ethiopia's Intellectual Property Office by saying "they are intended to celebrate traditional African costumes. Some of the designer's strong, geometric prints symbolise "identity, faith and national pride", the official told The Independent, adding: "Nobody has the right to claim these designs as their own." Williamson's office has been quick to respond to the report. "Historically, Matthew Williamson bases his collections on the idea of a modern girl who is a global traveller," said a spokesperson in a statement. "Her style is in part defined by incorporating many different cultures, traditions and customs. The spring/summer 2008 season was particularly inspired by the idea of modernising and celebrating certain traditional African fabrics and costumes." 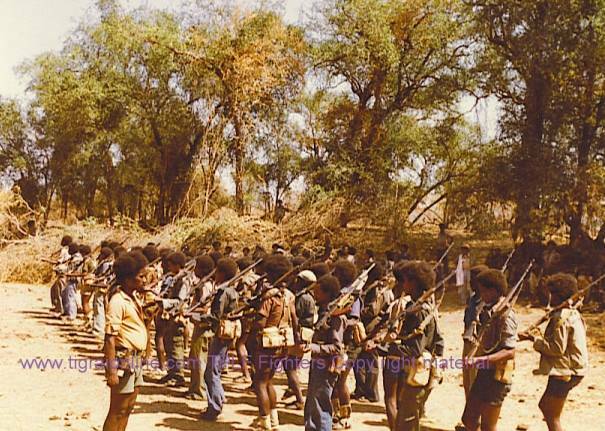 Millennium Message to all Ethiopians: Reclaiming Ethiopian( African) History and Civilization in the New Millennium.